BOOKS BY THE GREATS, COVERS BY YOU. Darthpoulsen (Grade: B) Great story, but I felt like a ton of scenes could have been cut out and I wouldn't even have noticed. emberem (Grade: A–) Intense, emotional, often disturbing, sometimes darkly humorous. 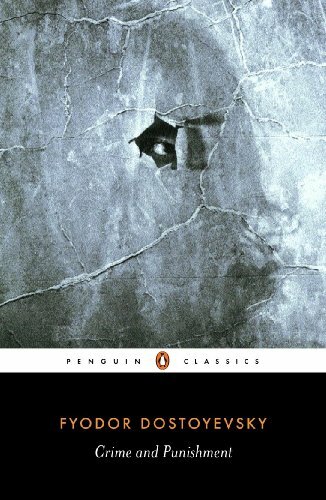 What really got me was the way Dostoevsky portrays the raw pain of psychological torment and a mind on the edge of mental breakdown. Listened to the audiobook by Anthony Heald (tr. Constance Garnett). It's good. featherquillpen (Grade: A) There are very few books that have forced me to take some time out of my life to sit alone and think about the implications of what I've just read. This is one of them. This book has so many layers that you could read it five times over and still find new ones. I recommend reading it slowly and savoring the words; it's worth the extra time.